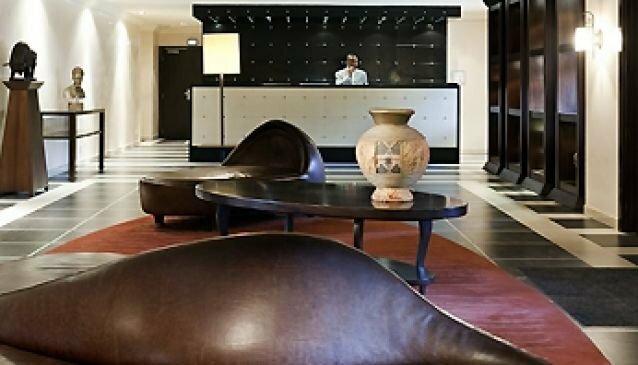 The Moorhouse is a luxurious 90 rooms and 11 suites hotel situated in the heart of Ikoyi, Lagos.The hotel prides itself in giving their numerous clientele a cozy environment which is hospitable for both business meetings, vacation and individual leisure time. The Moorhoouse is beautifully decorated and furnished to suit their clients taste. They have a restaurant where guests can get mouth watering dishes for breakfast, lunch and dinner. The restaurant operates an International cuisine so you can be sure you will get some of your own home treats away from home. Restaurant hours are between 6:30 am to 10:30 pm. In addition there is a bar where guests can chill out with friends and family and they have a great selection of drinks and cockails. Other fun activities in the hotel for the guest are the 9 hole and 18 hole golf course and a meeting room that can seat up to 80 people (for those who came for business purpose). For the convinence of their guests, Moorhouse provides them with services and facilites such as: french and english language interpreters for foreign visitors, internet service connection in every location, dry cleaning/ironing, fax machines, connecting rooms for family travellers, safe deposit, mini bars (in all the rooms), satellite television, work desk, gym and fire safety.